So far the name Cimino has not become a dictionary term for excess. For a while, though, it appeared possible. Michael Cimino is famous for spending $30m dollars on a Western. If that is difficult to imagine, think of a producer funding 30,000 Gene Autry movies in one year. Think of poor Gene Autry. When Cimino made Heaven’s Gate, he shot 1.3 million feet of film. A 1000 feet of film lasts 12 minutes. Without breaks for coffee, meals or sleep it would take an editor 650 days to watch 1.3 million feet of film. This is before the editor actually attempted editing. The extravagance bankrupted the studio, United Artists, and, even more important, it ensured that in Hollywood power would be transferred from auteur directors to alert moneymen. This is why so many movies today are designed by producers with link up commercial deals. Or why modern Hollywood produces so many mindless blockbusters and teeth gnashing romantic comedies. Excess, though, is interesting. 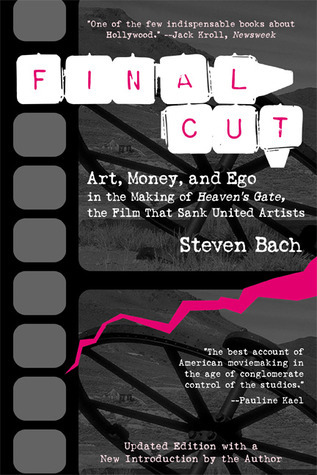 The making of Heaven’s Gate inspired the fine movie book, Final Cut: Dreams And Disaster In The Making Of Heaven’s Gate. Cimino is identified as a megalomaniac obliged to replicate the ambition of Erich Von Stroheim who, when he made Greed, was determined to create a 4 hour silent masterpiece. Unlike Cimino, Stroheim never directed again, and poor Erich only shot 85 hours of film. Not 650 days. And the rumour is that Cimino was determined to shoot over a million feet only because Coppola had done the same on Apocalypse Now. The tales of his irresponsibility and excess are horrendous. When during shooting, he decided that the road in a reconstructed Casper was not wide enough, the set designer suggested one side of the town be pulled down and they rebuild that side. Cimino insisted the whole set had to be rebuilt. But, after the financial disaster, Hollywood was determined to rubbish Cimino, so it is difficult to know what to believe. Excess is interesting. Perhaps it is the gluttony of the rich that inspires the obsession with celebrity. Excess also has an inevitable symmetry, especially for those with a taste for moral fables. Von Stroheim indulged himself making a film called Greed, and Cimino spent $30m creating a judgemental tale that criticised the appetites of the powerful. The excess analogy goes further. The film now benefits from a restored version recently edited by an older and chastened Cimino. Undoubtedly, this is the best version yet but we are now watching Heaven’s Gate in the middle of our own excess. I have watched the movie several times over the years and never wavered in my opinion that the film was a failure. The domestic drama was underwritten, and the casting misguided. Even the impressive set pieces failed to mitigate the boredom which one critic described ‘as dull as a four hour trip around your living room’. Well, our living rooms have changed, and we now watch movies surrounded by our own excess. Seen on a high definition 37-inch plasma with the sound bar on high volume to catch the 5.1 surround sound the movie has to be reconsidered. Modern critics have hailed the new version of the movie as a masterpiece. Young men and women now watch the movie as they would a film by Visconti. After the films of the Russian director, Andrei Tarkovsky, they are prepared for the plot to move slowly or be obscure. Cimino is not the equal of Luchino Visconti, and anyone who wants to understand why Heaven’s Gate is flawed should watch The Leopard, made by the great Italian director in 1963. Both films are leisurely and attempt to match domestic lives against dramatic history. Visconti, though, has characters that illuminate others and whose personal needs reveal both the impact and course of history. Christopher Walken as Nate Champion may be a Western Gatsby, the amoral and violent individualist who is also the perennial victim of American power. But the characters exist as symbols independent of the plot. The essential link between the domestic and history is missing from Heaven’s Gate. The casting in The Leopard helps, of course. The handsome Burt Lancaster merely wants to endure with dignity but the presence of the beautiful Claudia Cardinale and Alain Delon remind him constantly how his ageing is compromised by an insistent fractious world. The irresistible couple are blessed with grace but they are also ambitious and flawed, their desires will necessitate change. None of this exists in the love triangle between Kris Kristofferson, Isabella Huppert, and Christopher Walken. Heaven’s Gate is a fictional account of the Johnson County war, which occurred in Wyoming in 1873. The deceit that Ella (Huppert) was a prostitute and Averill (Kristofferson) was an upper class sheriff hero is sexist revision that backfires badly, as does the decision to have Nate Champion (Walken) as a mercenary. Champion was a popular rancher who challenged the powerful cattlemen over the rights to stray steers. It undermines the clash that follows and permits Cimino to use the recreated Ella and her whores as adolescent bohemian fantasy. Fortunately, Ella is given some status when she leads the rebellion against the rich cattlemen. It never happened, of course. Averill and Ella were hanged 2 years before the Johnson County War began. 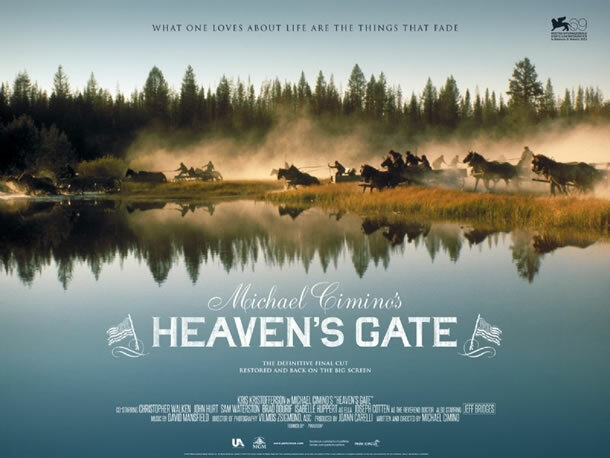 In the revised version of Heaven’s Gate, the weakness in the domestic drama does not destroy the movie as it previously did. The casting is still a disappointment, and the movie should have had Angelica Houston in the role of Ella. The love story is, though, a less significant section. If the movie is not the equal of The Leopard, it is certainly superior to Apocalypse Now, which is way short of masterpiece acclaim because of its racism, heavy-handed mysticism and an indulged Marlon Brando and Dennis Hopper. Apocalypse Now, though, was both a critical and commercial success, so we have to be curious about the different fates of the 2 movies. Timing is important. Coppola was examining what went wrong in Vietnam. Cimino was challenging the myths of a genre and a history that was of less interest to cinema audiences than recent military engagements. More important than that was how Coppola produced his best version of his movie for the initial release. 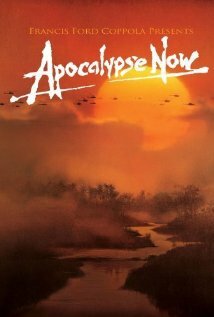 The revised version, Apocalypse Now Redux, is overstretched and inferior. Cimino, probably because he was working against the hostility of studio executives, made mistakes with the original version, which was 4 hours long, especially the over-extended opening at Harvard, which was filmed in a poorly disguised Oxford. If he had released the latest version first, Cimino may have succeeded like Coppola although even Coppola was never the same again after Apocalypse Now. Shane tells the same story as Heaven’s Gate. Traditionalists will argue that the former is the superior film. Shane is great, and the domestic drama is finely nuanced while the equivalent in Heaven’s Gate feels aimless. But Cimino makes the imaginative and ideological leaps that George Stevens, for all his epic ambition, side steps. Heaven’s Gate has been criticised by those on the Right for assuming a class confrontation where none existed. It is true that the rebellion of the small ranchers that followed the organised assassinations were not Marxist revolutionaries but the War happened because ruthless cattle barons were determined to prevail. This is class conflict and a phenomenon that Hollywood is too keen to ignore. Cimino highlights the issues but anybody willing to shoot 1.3 million feet of film will invariably think of himself as a poet. The radicalism in the movie is a consequence of Cimino wanting to recreate a cinematic genre rather than challenge a conservative view of history. Balancing poetry and history is always difficult, and the affectations of Cimino, like the reinvention of real life characters, show a lack of respect that should make the viewer wary. But, for all the reservations that persist, Heaven’s Gate is essential viewing, and the Western genre benefits greatly from its presence. Having tried and failed at least 3 times to watch this film in its entirety I found Howard’s well documented piece very interesting and informative. So much so that I have decided to read up on the true facts surrounding the Johnson County War.